Do you find it difficult to manage content approvals while juggling multiple clients? In the past, you may have had to transfer content into a document, send to your client, then come back and re-transfer the information back to the portal. It’s an endless game of a copy-and-paste middle man, with no additional value in the middle. Wouldn’t it be nice if there was an easy way to give clients the ability to directly approve, reject, edit, or provide feedback to content… without any extra work on your end? Well folks, today is the day! 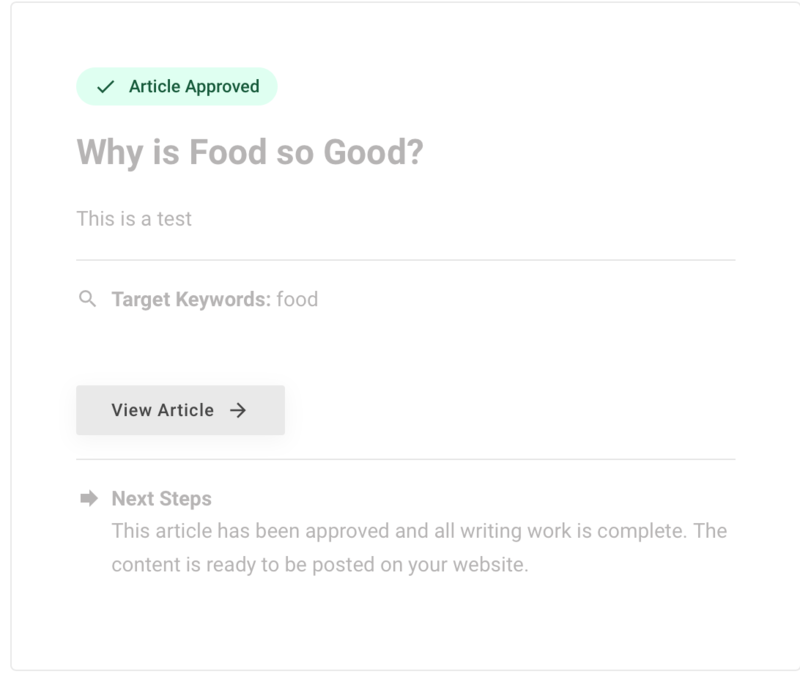 In this update, I’ll show you the new white-label content approval feature we just rolled out. In your HOTH customer dashboard, you can access your white-label content approval link by clicking the arrow next to ‘Review Topic Suggestions’ or ‘Review Articles’. 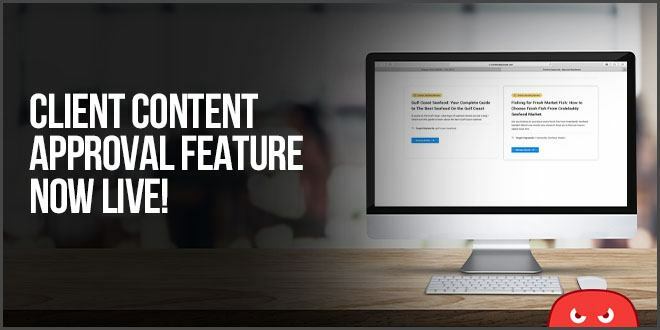 You can send this link directly to your client to handle all the content approvals! You’ll notice that this link is on a third party domain so your client will never know the HOTH exists. When the client opens up the white-label URL, they see any topics and articles awaiting review for that order. The first action a client can take is to reject or approve the topic. If they reject the topic, their response will automatically be updated in The HOTH system. Once we re-work the topic, we’ll display the new topic on the white-label site for approval. There’s no work needed here on your end. If they accept the topic, they’ll see it as ‘Topic Approved’. 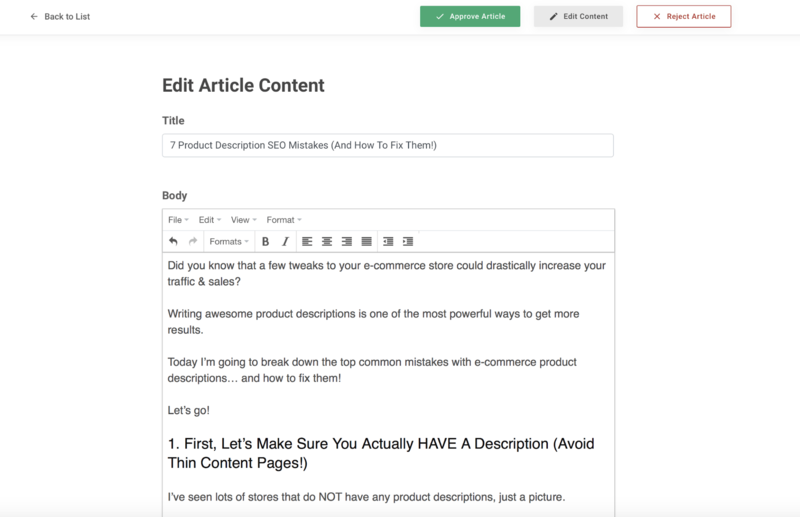 Once the topic is approved, it automatically goes to the article creation process. Once the article(s) for the order are created they’ll be available for review on the white-label approval tool. There are three actions the client can take: approve the article, reject the article, or edit the article. If the article is approved, they’ll see it as ‘Article Approved’ and will be able to view it immediately. If the article is rejected, it will go back to our team for edits. If the client would rather make a few quick changes themselves, they can do that as well! Then they can approve the article, or reject for further edits. The site also displays ‘Next Steps’ so that your client knows what to expect next with their order. This is displayed with both topics and articles, rejected or approved. 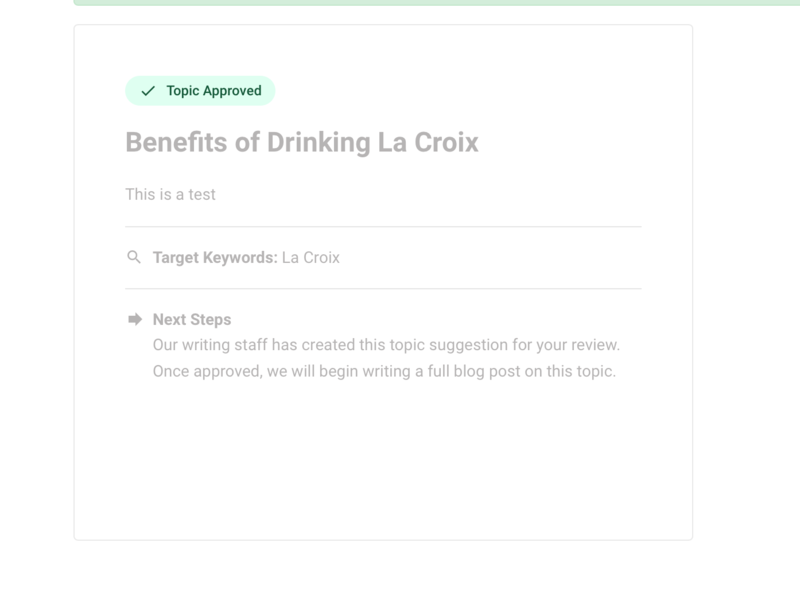 Now you have an easy way for your clients to directly review their HOTH Blogger orders with no unnecessary back and forth. Take a minute to let us know if this makes your content review process easier – we’d love feedback! 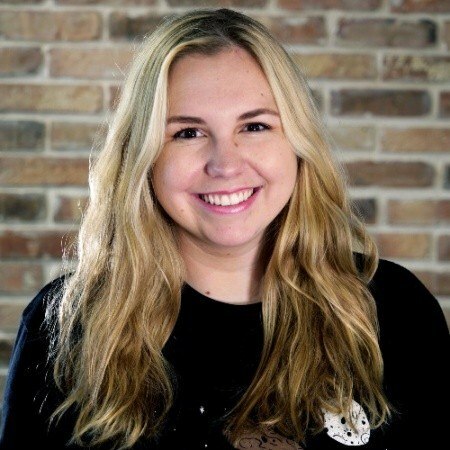 Jessie Poen is the Director of Product & Development @ The HOTH. Before the HOTH, Jessie graduated from of the University of South Florida, with a double major in International Studies and Organizational Communications.